Another Way to be Jewish…. culture, values and heritage from a humanist perspective. Connect and become part of a larger group that shares your basic values, beliefs and attitude towards Judaism. Through Kol Shalom programs and activities, our diverse Jewish and intercultural members join with one another and with the community. At Kol Shalom, children, young couples, growing families, singles and seniors share life's passages, challenges and joys. 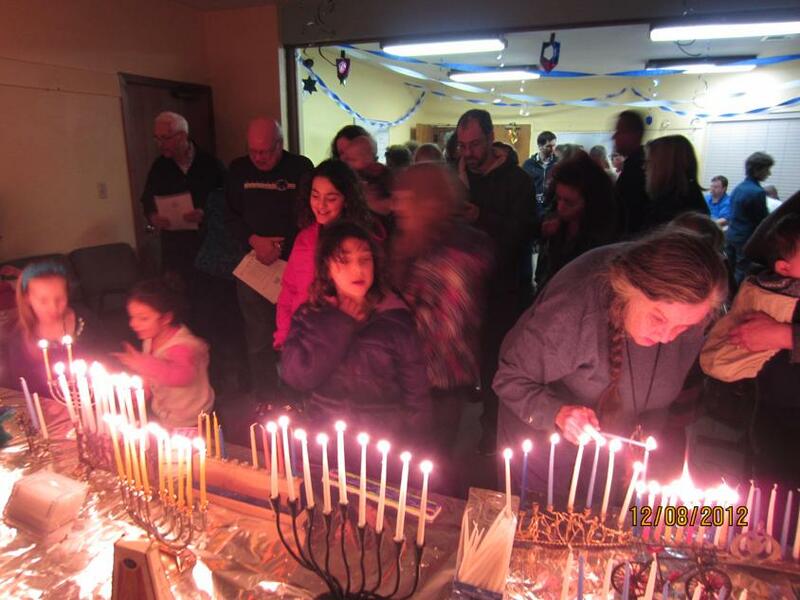 We come together as family, friends, and community to celebrate Jewish life cycle events and holidays in our non-theistic, humanist way. Our adult and children's education programs focus on Jewish culture, tradition and history. Through classes, book groups, forums and discussion groups our members learn and engage with Jewish topics in creative and stimulating ways. At last, humanists who identify with Jewish history and culture, who prize their Jewish roots and want to participate in Jewish holidays and programs without reference to God or the supernatural, have a place …. No more “wondering” around, alone in the wilderness! (Central Ohio Humanist, May-June 2010). We hope you will join us! Click here to learn more about becoming a member.